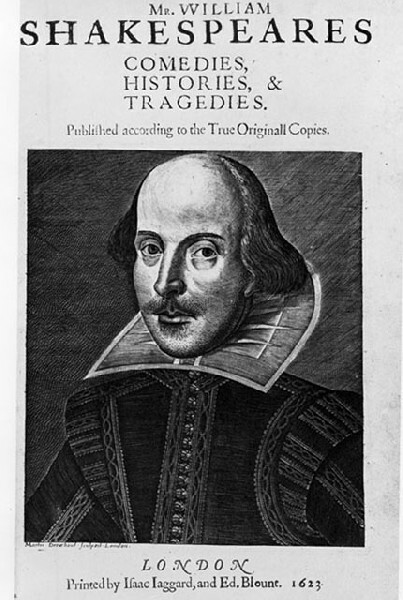 The Bard turns 446 on April 23 but who’s counting. You only turn 446 once. The public is invited to join Shakespeare & Company as it celebrates the birthday of its namesake with a special hometown performance of its touring production of Julius Caesar , followed by the Will 446 Bash , a birthday party featuring cake , live music and the book launch of Kevin Sprague Â’s highly anticipated Imagining Shakespeare. The performance of Julius Caesar begins at 7:30pm and is followed at 9:30pm by a birthday celebration featuring live music by wandering minstrels Evan Randall and Heather Fisch (who played the title role in our holiday production Cindy Bella) , and a delicious birthday cake. As part of the big night , photographer and photo artist Kevin Sprague is launching his new book Imagining Shakespeare , documenting the 15 years of photography and art he produced for Shakespeare & Company with his design team at Studio Two. Shakespeare & CompanyÂ’s non-Equity tour of Julius Caesar is directed by Jonathan Croy and presented by S&Co.Â’s Education Program. It includes a 90-minute production featuring a six-member cast who take on multiple roles , placing the focus on a clear and powerful delivery of ShakespeareÂ’s text. The production is modeled after ShakespeareÂ’s own touring shows , which took to the countryside when the plague shook London and closed down the theatres. A staple of school curricula and dotted with some of the most memorable and enduring turns of phrase in the English language , Julius Caesar is a favorite choice for experienced students of Shakespeare and newcomers alike. ShakespeareÂ’s account of the conspiracy to kill Caesar , and the wild struggle to achieve order from the chaos that resulted , is loved by students of all ages for the clarity and beauty of its language. It opens up Shakespeare & CompanyÂ’s 2010-2011 season with a run at the Elayne P. Bernstein Theatre from May 21 to June 13. Director Jonathan Croy , now in his twenty-fifth season with the Company , directed last yearÂ’s critically acclaimed Twelfth Night on the S&Co. mainstage. With over 40 roles at S&Co. , selected credits include The Merry Wives of Windsor , The Taming of the Shrew , King John , Much Ado About Nothing Henry V , The Tempest , CompleteWorks of Wllm. , Shakespeare abridged , Twelfth Night , Richard III , A Midsummer NightÂ’s Dream , The Merchant of Venice , Comedy of Errors , Custom of the Country , Twelfth Night , Macbeth , and Much Ado About Nothing. Jon has directed many New England Tours of Shakespeare , Shakespeare in the Courts programs , Summer Institute productions , Shakespeare & Young Company performances , and more than 30 other in-school Residencies. Regional acting credits: NY Shakespeare Festival , Orlando Shakespeare Festival , Missouri Rep , NC Shakespeare Festival , and Virginia Shakespeare Festival. The Education Program is one of the most extensive theatre-in-education programs in the Northeast , and has reached over a million students since 1978 with innovative performances , workshops , and residencies. Guided by Education Director Kevin Coleman and Company education artists and teachers , educators continue to develop and fine-tune their programs to enhance and complement curricular activities in elementary , middle , and high schools across the country. The Education Program received the prestigious 2006 Coming Up Taller Award presented by First L ady L aura Bush at the White House in January 2007 , and in 2005 it also received the Commonwealth Award , the highest award for excellence in the arts , sciences and humanities given by the state of Massachusetts . It was also the subject of an in-depth , two-year study by Harvard University Â’s Project Zero which recommended national replication. The Education Program has been identified by the Arts Education Partnership and the PresidentÂ’s Committee on the Arts and the Humanities as a Champion of Change. Shakespeare & Company arts-in-education programs receive major support from The National Endowment for the Arts , The National Endowment for the Humanities , Berkshire Bank Foundation , Bank of America , Greylock Federal Bank , the Massachusetts Cultural Council and its local cultural councils , Country Curtains and The Red Lion Inn , and many other local corporations , private foundations , and individuals.